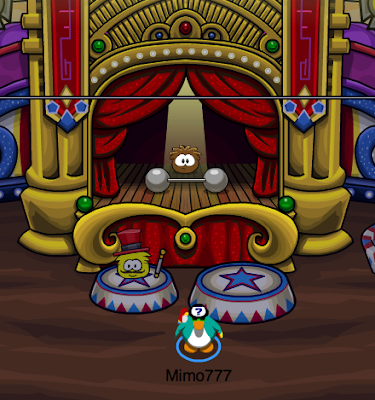 Club Penguin Cheats by Mimo777 Club Penguin Cheats by Mimo777: 2011 Club Penguin The Fair Sweet Cheats & Rockhopper Free Item! 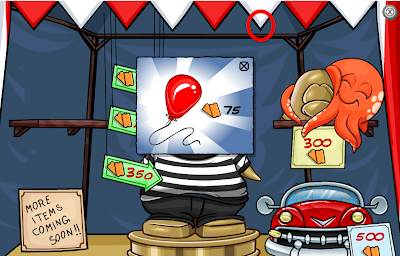 2011 Club Penguin The Fair Sweet Cheats & Rockhopper Free Item! 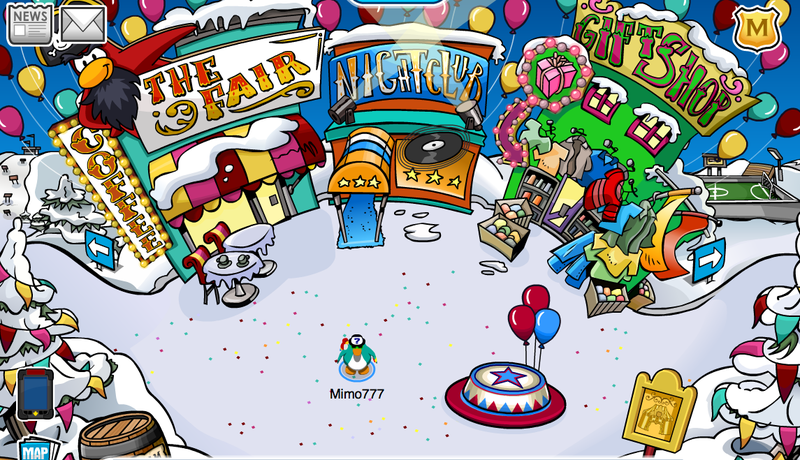 The 2011 Club Penguin Fair is here! And, it is FAIR-ly awesome... again! This is one of my favorite parties of the year and it has the best cheats! You know that right?! Here is how it works. 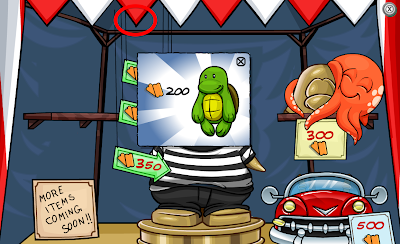 There are a bunches of sweet items, but you have to buy them with The Fair tickets! You get tickets by playing the new fair games around the Club Penguin island. 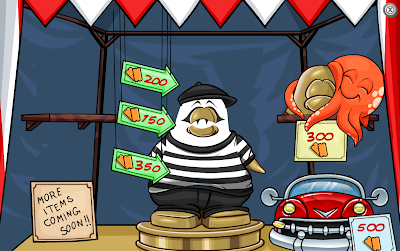 IMPORTANT: YOU WILL LOOSE ALL YOUR TICKETS ONCE YOU LOG OFF SO SPEND YOUR TICKETS! More items coming next week! Saweet! 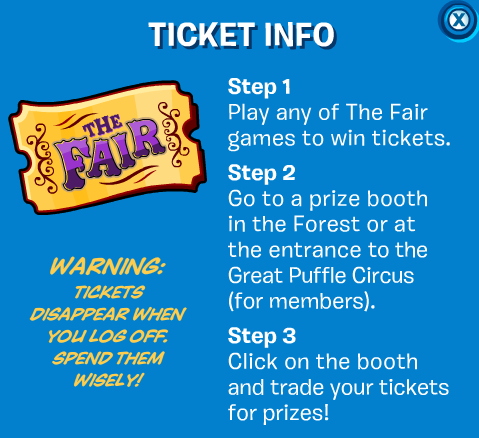 Everything takes more tickets this year! Bummer! 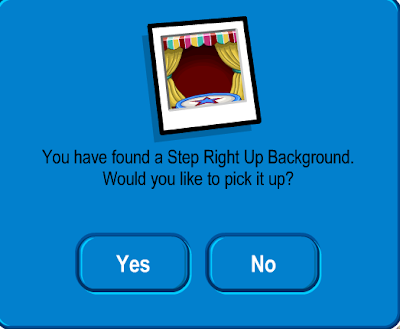 There is also a FREE Background at the Ski Village! 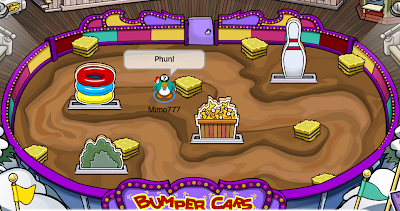 Oh yeah, don't forget to tryout the NEW Bumper Cars at the Stadium! Lots-o-phun even without a car costume! Super saweet party and cheats, huh? 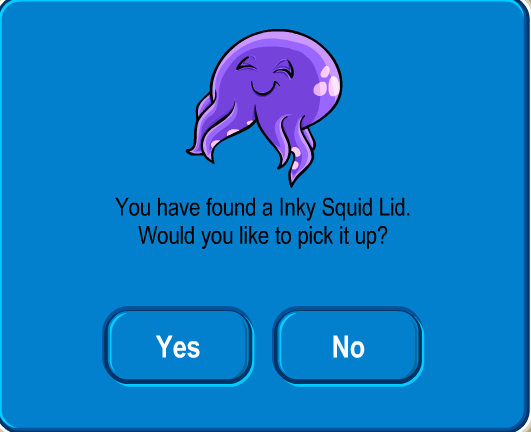 Let me know about all the other coolness you find around the island, k? 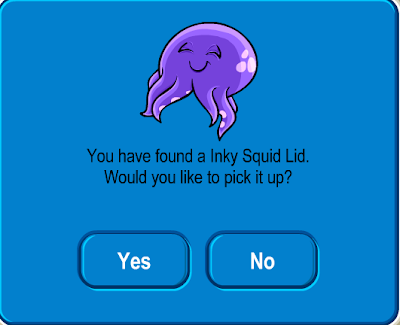 When i tried to get the free item it said it was members only same with the ticket hat. 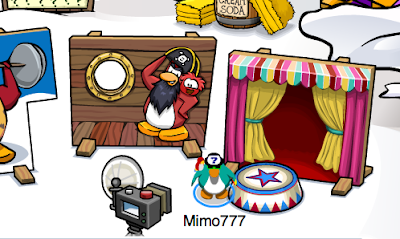 hey Mimo yesterday i met Billybob and i asked him about a CP movie and he said Happy was talking about it! so they might make a co movie!!!! 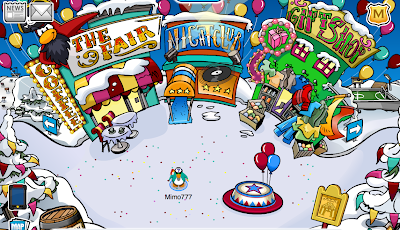 This is awesome i love the fair!!!! thnks for the pin..Actually i just wnt to asking u some question Hve u been meet rockhopper?? I found him at the Marshmallow in the Town!! It is really cool fun to meet with him but,It is crowded most of penguin like to see him..
and i hope i will meet him again next time!! This is what they should be doing more of! 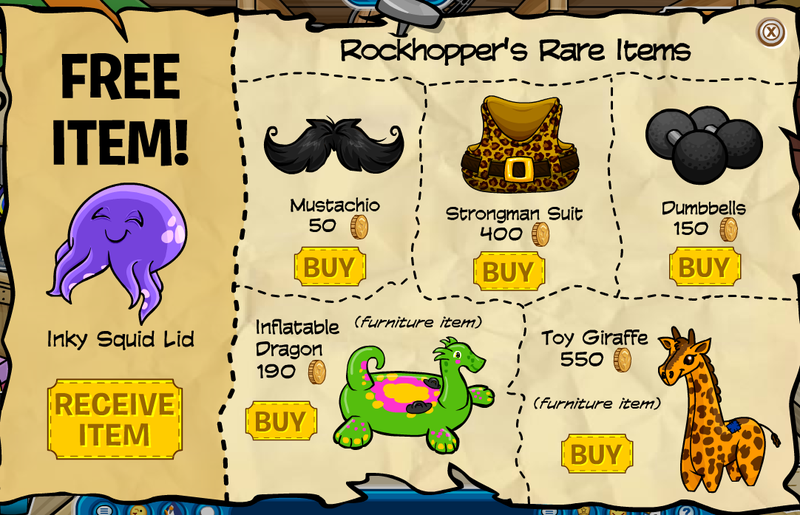 More free items for non members!!!!! 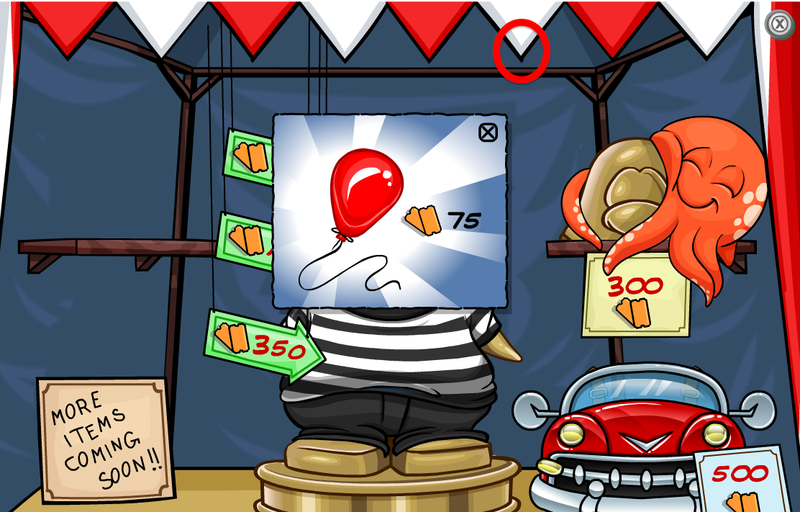 Theres Also A GAme a t the Cove, Puffle Feeder. 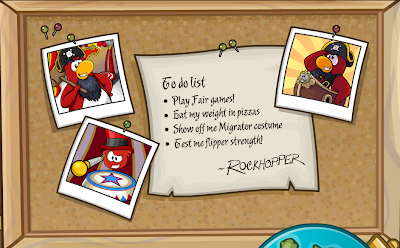 where is the rockhopper's to do list? 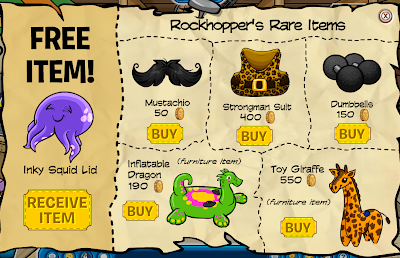 and the rockhoper's items?